This shows how individual matrices are placed for various tests and repair functions. 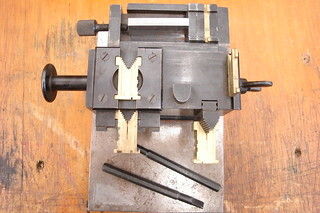 The 2 rods at the bottom are swedging tools for reforming the ears on a matrix. 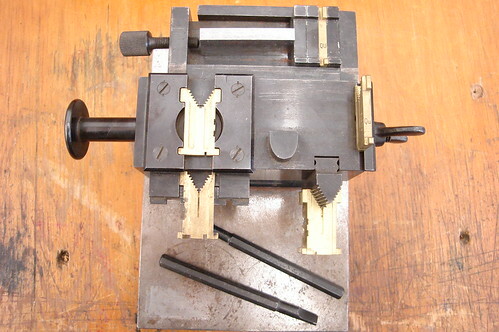 The base is a piece of Cronite engraving steel used for making steel dies for engraving, but finding another purpose here.